Waze GPS has been updated with numerous improvements, including a new resource to share My Drive and location sharing interface. Recently it was rumored that Apple was interested in buying it , but was quickly denied by the company on the block. 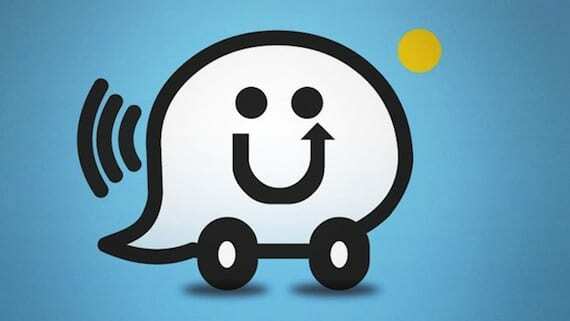 Waze is a navigation application based on traffic community has 30 million users. Joining forces with other drivers nearby to avoid congestion, save time and money on gas and improve daily trips around the world. Direct route from the community of users to view real-time traffic and route information. Road Community Alert, including accidents, hazards, police. Memorize your frequent destinations, hours of travel and preferred routes. Gather friends, share location on a map in real time, see friends also on the way to your destination. Join or create groups to share information about your trip. Earn points and move up the ranks of your community as you contribute information highway. Live Maps, constantly updated by the editors of the Waze community. Participation in the new interface and share My Drive location. Search for stations in the main menu. Recent Places are shown on the home screen navigation. Preloading route when you are connected to Wi-Fi. Further notice and Features "beep" for Facebook friends. New alerts to show friends online, who is online, and new friend that goes to your destination. Waze can download from the App Store for free at the link below. Still can not take advantage of this community at the wheel of your car? Article The Waze GPS app is updated with numerous improvements have been originally published in News iPhone .